Do you ever spend the first two days of your six-day vacation trying to unwind from work? Why waste precious vacation time worrying about work—when careful planning can help you close the door on your office and be ready to relax right away? With the right planning, you can rest easy during your vacation, knowing that you have everything covered. Let’s start with just the basics. Change your voice mail with specific instructions for who customers should call if anything arises. Update your work calendar as far in advance as you can so that others know you’ll be unavailable and can plan to contact you before you leave. For most of us who work with students and families to make financial aid available, there are loose ends and deadlines you need to keep in mind. With a little planning before you go, you can make sure your time off is relaxing—and return to find things have gone smoothly in your absence. Here are some other helpful tips from someone who works in the area of financial aid/higher education. If you can avoid it, don’t change your password right before leaving on vacation. Or, if you do need to change your password, think of a song that makes you think of what you’re doing with your time off and use first letters of the lyrics to create a password that you’ll be able to reconstruct easily on your return. Leave yourself a clue that you used a song to create your new password. Before you leave, if you’re choosing which tasks you’ll complete and which you’ll leave undone until you return, opt to complete any tasks that require complex thinking before you leave. It will be easier to tackle that work while you’re still in work mode before your vacation. When you return to the office, you can ease back into things with more mundane tasks—or be free to handle any other urgent issues that arose while you were gone. Check the calendars of others who may be gone while you’re out of the office—particularly those who may have backed you up. If you need to find an alternate backup, it’s good to have this lined up to save internal and external customers the hassle of being passed around. Think of the worst thing that could happen when you’re gone, and what you would do in that situation. Provide specifics about a client or situation that would be key in helping your backup effectively handle the situation without you there. If there are others who can help in your absence should the situation arise, provide those names and contact information to your backup. If there’s a situation that could arise that would require contacting you on vacation, let your backup(s) know what this might be—and how you would want to be contacted on your time off. Provide a landline if Internet or cell access could be problematic. Take your backup’s contact information with you, just in case you remember something you forgot to do or need to remind them. 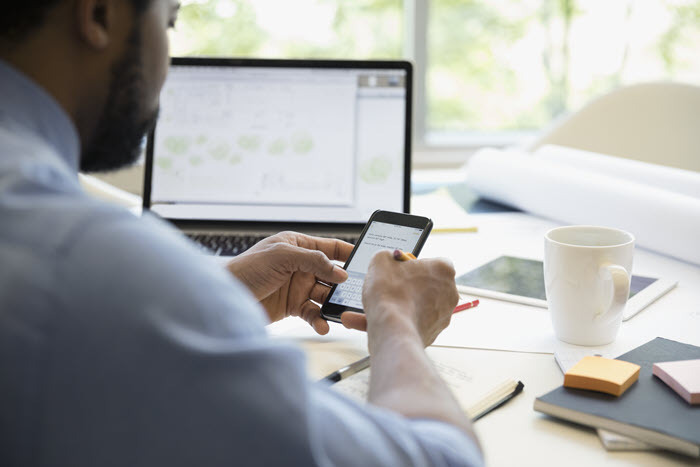 Disconnect your work email and disable any notifications or reminders from your phone so you don’t receive unwanted updates. Leave yourself a prioritized list for the day you return. Block off an hour or two to catch up on email and tackle time-sensitive tasks. Not using an electronic list? Check out Wunderlist for help with checking off to-dos. Don’t want to waste time finding where you left something? Email yourself a reminder with the file path, folder, or other stopping point in a document or task to save yourself time when you return. Last, but by no means, least—leave the office and try to let go of work. While you’re gone, if you remember something you need to do when you return or you come up with a great work-related idea, email yourself or leave a voice mail at work so the information isn’t lost. Then let go of it, and enjoy your time away. It will make you more rested, relaxed, and productive when you return.